2013 Year of Running | Fit Girl. Happy Girl. Best race experience… Although I ran my first two marathons this year, I honestly think my best race experience was running Hood to Coast. It was my first relay and the memories I made over those few days with my team are unforgettable. I also, unexpectedly, ran some of my fastest race times ever. I would do it over again in a heartbeat. Best run… About a quarter of the way through training for Marine Corps, I was already feeling pretty run down and unenthused by being in marathon training again. But just when I needed it the most, the running gods gave me a completely perfect and blissful run in Maine. It was incredible. Best new piece of gear… Saucony Mirage 4, life changers. I started wearing these in October and they have completely changed my running. Before switching over I was in some pretty clunky stability shoes but I wanted less, a more natural feel. My co-worker, and RW Gear Guy, Jeff, let me wear-test the new Mirage 4s and I fell in love with them. 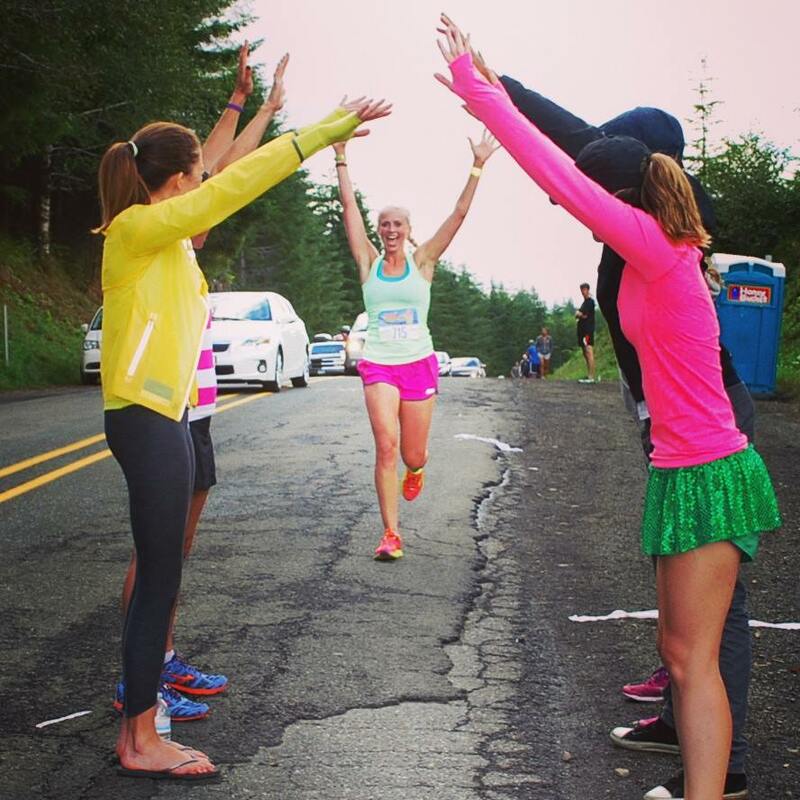 Best piece of running advice received … from Dorothy Beal– “You are that fast.” Before running Hood to Coast, Dorothy said this to me. I’ve been known to really hold back when it comes to running fast. I don’t like to get to that uncomfortable place. But Dorothy somehow knew I was going to run hard during HTC and she was right. It was the first time I had ever average sub-8:00/miles and it was incredible. Most inspirational runner… Oh gosh, this is a tough one. I’ve met so many incredible people running this year that it’s really hard to pick just one. 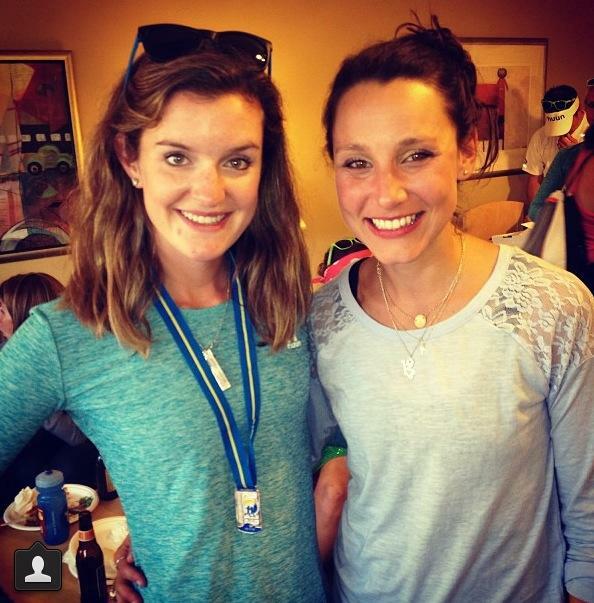 But if I had to chose I’d say Sarah Canney (Run Far Girl). I met Sarah when we were teammates at Hood to Coast and hearing her story about her son brought me to tears but it also made me so incredibly amazed at how resilient, positive, and strong she was when facing the worst. Not to mention she kept running through it all. Kudos to you Sarah! You’re incredible girl! Throwing up a power arch for Sarah on her last leg! 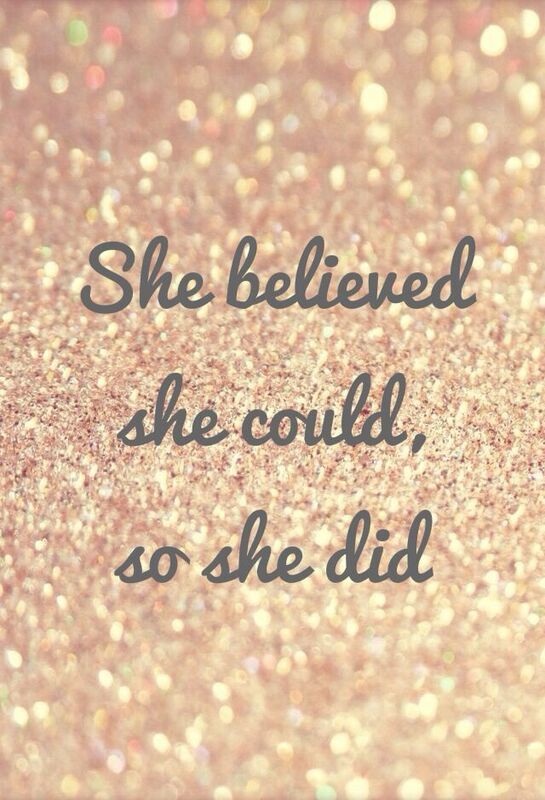 My mantra this year was “She believed she could, so she did.” I even wore an Erica Sara bracelet with this saying engraved on it during my training for Big Sur. This was a year of big goals for me. 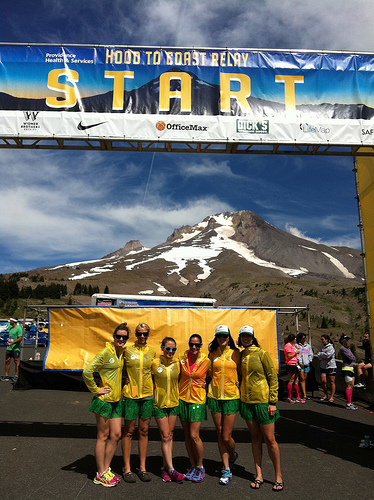 I became a marathoner and fell even deeper in love with the sport and everything that running has brought into my life. This saying helped me when I first started running in 2012 and has kept me going this year. I never push myself when I run. I know what you mean by that fear. I don’t know what it is but something holds me back. Here’s to 2014 and beating our own records!!! It’s tough! But it’s so worth it when you do!! 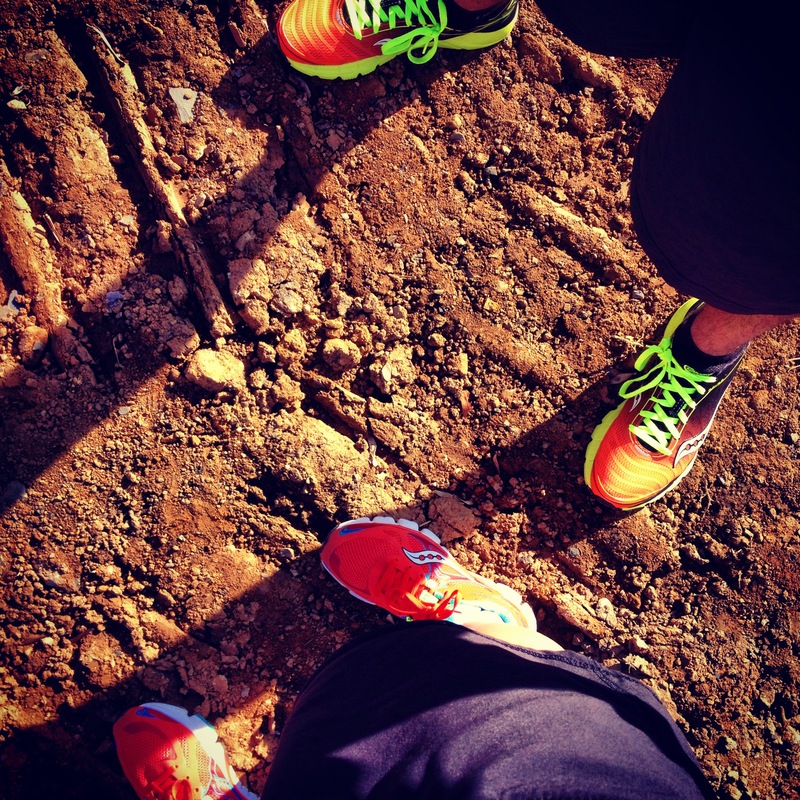 Pingback: 2013 Year of Running | Runners and sports enthusiasts Unite !! Great post! I’ve been loving reading these! Good luck in 2014! I did this post a few weeks ago and I love reading everyones reflections! Its so awesome reading everyones years in review. Nice to see the highlights!! You had a great year for sure and I can’t wait to see what 2014 has in store! Awesome! Keep it going for 2014! Can’t wait to follow along! Congrats on becoming a marathoner!! I ran MCM as well and it was my first!! You had an impressive year! Keep up the great work! I wear the Kinvaras right now, but have been wanting to try the Mirage. I bought 3 pair of the Kinvara because there was a really good REI sale! But you can never have too many running shoes…maybe I’ll check them out soon!